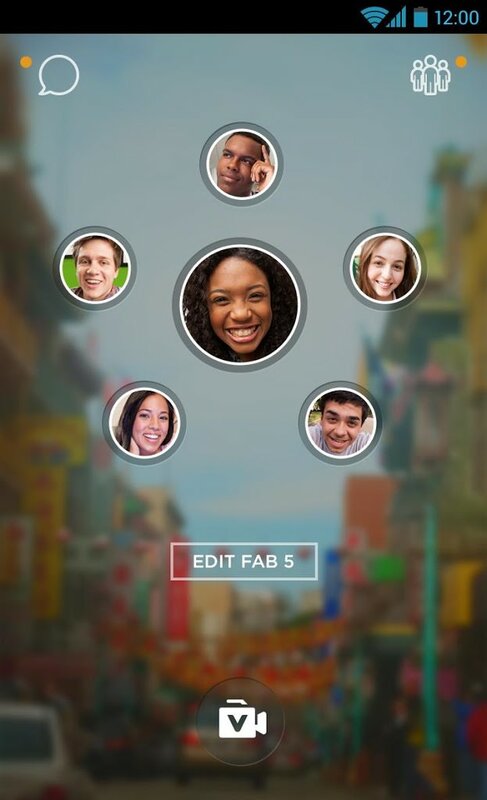 With ooVoo’s stunning new mobile app, video chat has never looked so good. Our beautiful, simple interface lets you quickly make calls with up to 12 people at a time on 3G, 4G, LTE and WiFi, and makes it easy to search and add friends. No one is better at group video chat than ooVoo. Our status as the highest quality video chat is why more than 80 million people use us. • Tap-Tap-GO!™ group video chat. It’s never been easier to build a group call! • ooVies™ — video status messages that you display on your profile or send to friends! • Full-page profile screen featuring your ooVies, profile pic, and more! • Top 5 — put your five best friends on our pop-up speed dial! • View friends’ profiles and connect in any of four ways: video call, voice call, instant text or video message. • Search for friends on ooVoo, Facebook, Twitter, Gmail and your personal contact list. • Review your conversation history and messages and resume them with one touch. • Retrieve your saved video and photos and save incoming media sent to you by friends. One thing that hasn’t changed is ooVoo’s quality. Our unique technology means vibrant video and crystal-clear audio. Here’s how we do it: Other video chat apps depend on the processing power of your device; our robust cloud servers give you rock-solid calling no matter where you are. And ooVoo adjusts your video call to match your connection speed so you can keep talking without interruption even when your network speed is low. ooVoo with your crew while watching TV, doing homework, or going shopping, and never miss a thing. Keep up with them on the go with video and photo updates — taking your friends along with you is easier with ooVoo on your Android smartphone or tablet. ooVoo video chats and text instant messaging (IMs) connect to other ooVoo users on your desktop computer, laptop, tablet or smartphone letting you make free video calls, voice calls, and send free instant messages from anywhere, at anytime. ooVoo is free! It’s easy to sign up, quick to download, and a snap to use.